Adjustable stainless steel pull type cup dispensers for wall or stand mounting. Tomlinson PULL TYPE CUP DISPENSERS is a fascinating solution offered with the profound integration of essentials to meet various operational features. 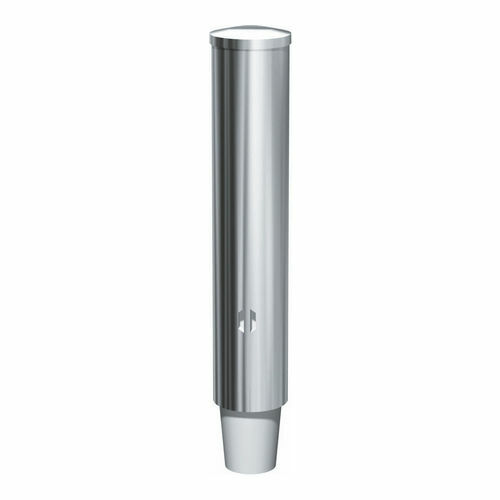 The stainless steel dispenser is rugged to serve you for years to come. Tomlinson offers the dispenser with superb stand or wall mounting adding excellent convenience of operations. The dispenser comes in over 10 variants offering ample choice of meeting customization requirements of color, mounting styles, and cup size. In fact, selecting a pick from the amazing collection is always wonderful as it offers superb gateway to attract customers and in turn enhance profitability. These Tomlinson PULL TYPE CUP DISPENSERS are a practical solution with the highest in the industry adaptability with numerous dispensing requirements.